For all classes, all levels, students must wear a solid colored leotard and tights (no skirts please- they can be distracting). 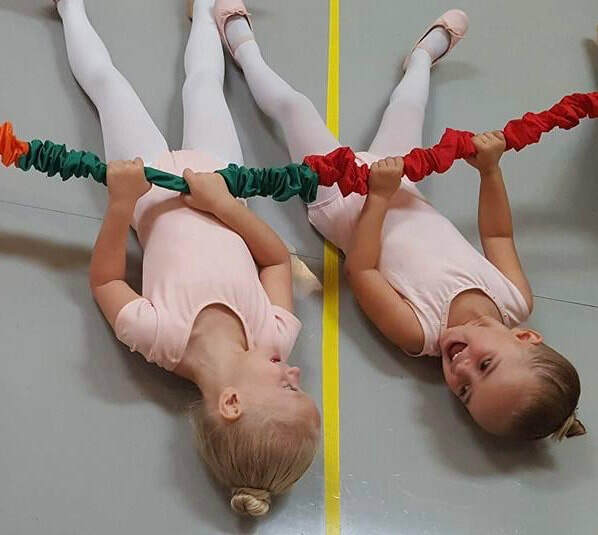 For Pre-School, Combination Classes, and Ballet Class, we ask that dancers wear pink tights. Dancers may wear Pink, Black, or Sun-Tan Tights for Jazz, Tap, and Lyrical classes. For All Classes, students must have their hair up and secured to their head; a bun is preferred. Please no jewelry (post earrings are OK). Tap- Black (all levels). A color for performance will be determined based on costume. Jazz- Black or Tan (all levels). A color for performance will be determined based on costume. Lyrical- 'Tad-pole' or 'Foot Undies'; dancer's preference. Pointe Shoes- Only at the discretion of the Studio Director.